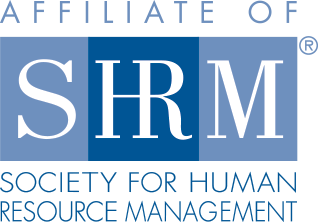 Our Philadelphia chapter of SHRM provides its members with a range of services designed to enhance the skills and development of HR individuals by offering professional/career development, networking opportunities, volunteering opportunities & events. View our chapter promo video to learn more about Philly SHRM and the benefits of membership! To join us as a member, you must first be a national member of SHRM. Visit shrm.org and click on the Join/Renew Link. Complete the membership form and choose Philadelphia (or #002) as your local chapter. Your membership with the Philly SHRM Chapter is free! Then email info@phillyshrm.org for assistance with setting up your online profile with Philadelphia SHRM. Since you already have a National SHRM membership, our chapter’s membership is FREE to you! The only thing to do is complete the Online Application Form in its entirety and within one week after joining, you will start receiving the chapter’s emails on upcoming chapter events, Member Center and additional resources. If you would rather mail the application form: Download Now. Visit shrm.org and click on the Join/Renew Link. Click “Renew Your Membership” – you will be prompted to enter your Member ID and Last Name. Complete the renewal form and choose Philadelphia or #002 as your local chapter. Your membership with the Philadelphia SHRM Chapter is free! * Please remember you must be a Full SHRM Member and indicate Philadelphia or #002 as your local chapter in order to start reaping all the benefits our chapter has to offer.